Dr. Williams received his MD degree from the University of Texas Health Sciences Center, in San Antonio, TX. He then completed his residency training in urology at Eastern Virginia Medical School in Norfolk, VA. After completing his fellowship in urologic oncology at the M. D. Anderson Cancer Center, in Houston, TX, he returned to Virginia Beach, VA, where he is currently an Associate Professor in the Department of Urology, Eastern Virginia Medical School, and a member of the staff of Urology of Virginia, working within the Paul F. Schellhammer Cancer Center. Dr. Williams is a member of the Society of Urologic Oncology (SUO), the American Society of Clinical Oncology (ASCO), the American Association of Clinical Urologists (AACU), and the American Urological Association (AUA). Prostate Cancer International (PCaI) is a not-for-profit 501(c)(3) organization based in Virginia Beach, VA. 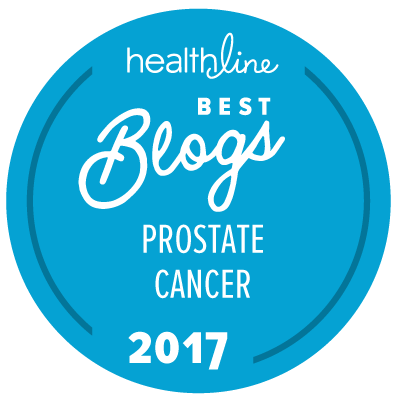 It is primarily focused on providing information and educational resources for men with or at risk for prostate cancer and their families. Its mission is to transform global understanding of the risks associated with prostate cancer and the strategies available to manage those risks until prevention is possible and a cure can be found. PCaI would also like to thank Dr. Arnon Krongrad for his participation as the outgoing Medical Director of PCaI. Dr. Krongrad has served in that capacity for the past 10 years, and he will continue to hold a position as a member of the Board of Directors of the foundation. Dr Krongrad was one of the two original co-founders of the foundation. He is now the CEO of Allevion, Inc., and the developer of its innovative surgical services system known as Surgeo. Congratulations and welcome to Dr. Williams, and Thank You to Dr. Krongrad for his development of this website/forum and long service as Medical Director. And while I am providing recognition, a huge Thank You to Mike Scott for his long and invaluable service as our Sitemaster! As an aside, I met my wife to be while strolling on Virginia Beach the summer of 1953 where she and girlfriends from Canton, Ohio, had just arrived on vacation and while I, as a young sailor was stationed with CINCLANTFLT Headquarters in Norfolk. We married April 6th, 1954, then spent the next 23 years on our “honeymoon” traveling to many locations during my subsequent Navy career. Here we are, among those who take marriage seriously, 64 years, 8 months as of tomorrow! Thank you for the “Thank yous” Chuck. And — also as an aside — you and Mrs Maack now need to buckle down for another 6 years and 7 months to catch up to George and Barbara Bush!